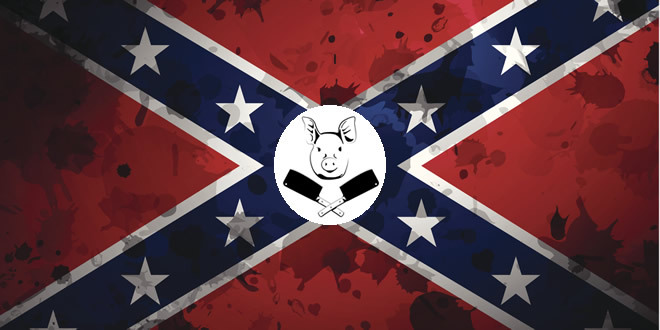 The Drunken Butcher clearly has a great imagination and talent for continuing to come up with exciting new concepts for his supper clubs, but even the greatest minds need a little help from time to time. Recently he’s taken to developing custom menu’s for private, invitation only supper clubs based on a theme chosen by the organiser. I was lucky enough to be invited to one by friend and fellow blogger Liz, aka @thingstodoinmcr who worked with Iain to develop an intriguing sounding menu inspired by the American Deep South. 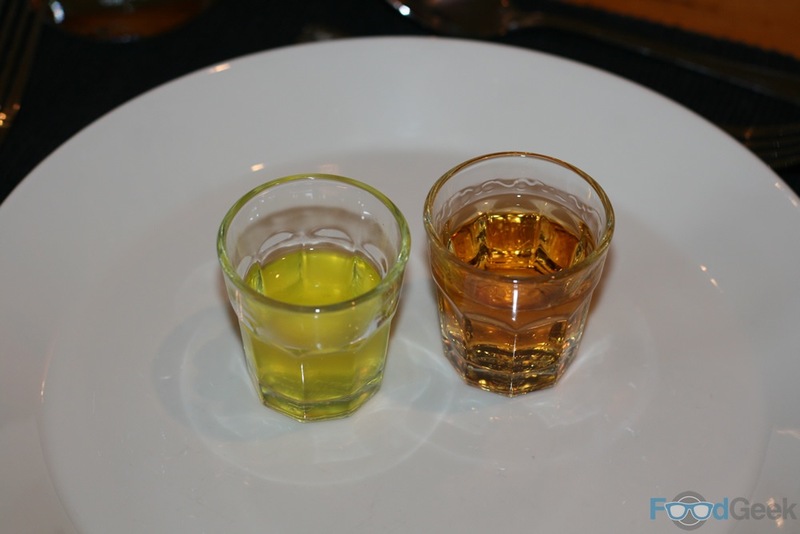 As the first guest to arrive I was treated to an off menu Pickleback (a shot of whiskey followed by a chaser of pickle brine), a recent discovery that are now one of my favourite things. Followed by a classic cocktail of the American South, ‘Mint Julep’. 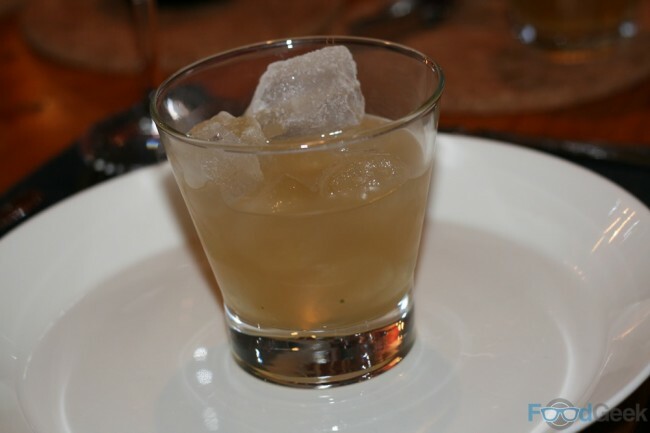 A rather strong combination of bourbon and mint which tasted great and was a perfect introduction for what was to come. The first food to arrive was not only one of the best things I ate all night but possibly all year. I’m a huge fan of ‘Fried Pickles’ anyway and these were as good as any i’ve had. I actually preferred them to the version at one of my favourite restaurants SoLita. 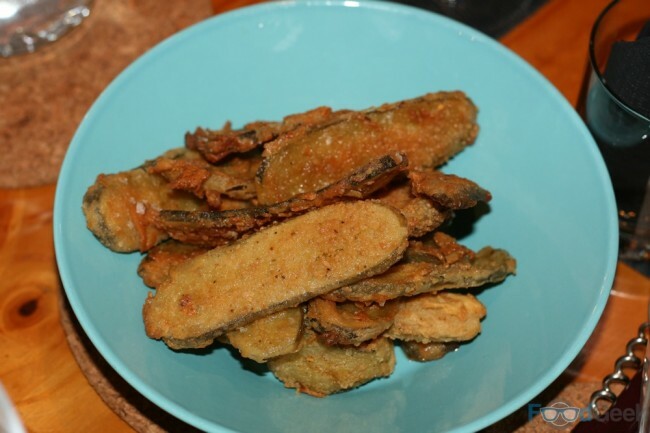 The thin slices of pickle are coated in a crunchy yet light batter bursting with spices which contrasts brilliantly with the tangy pickle inside. 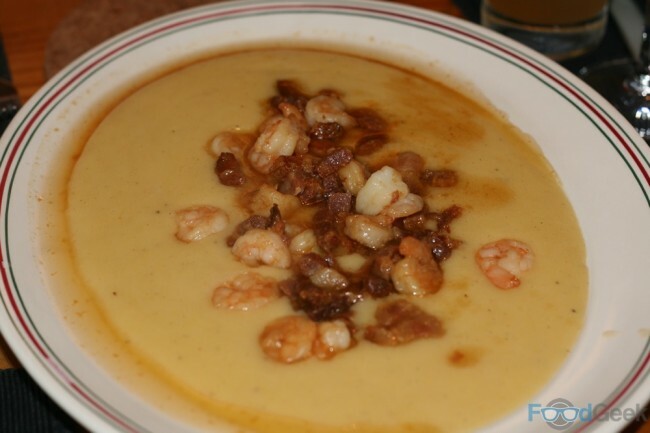 Next came ‘Shrimp On Bacon Grits’, the richest, creamiest grits – ground cornmeal, similar to polenta – topped with shrimp and crispy bacon. Comfort food heaven. 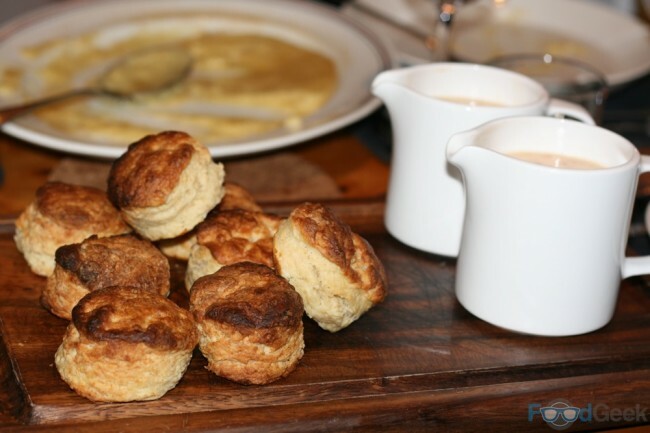 Another stunning dish followed in the form of ‘Biscuits & Sausage Gravy’, not your sweet Rich Tea or Digestive type biscuit of course but rather the American ‘biscuit’ which are more like savoury scones. They’re so light and fluffy inside and just incredible doused in the gorgeously thick sausage gravy which happily contained generous chunks of actual sausage. It wouldn’t be a Deep South feast without fried chicken would it? 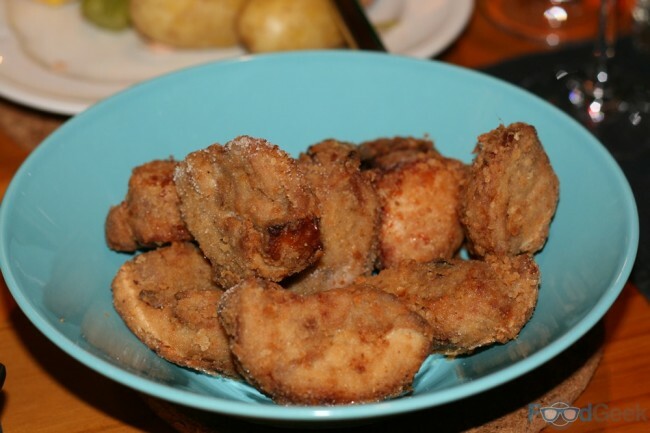 These bite size pieces of chicken thigh were supremely tender and moist inside with a highly seasoned, super crispy coating. The main event was a ‘Crayfish Boil’, intended to feed four of us but would’ve quite happily stretched to eight, particularly after everything we’d already eaten. Not that there was much left by the end though as despite not being the prettiest of dishes it tasted so good we couldn’t leave it alone. 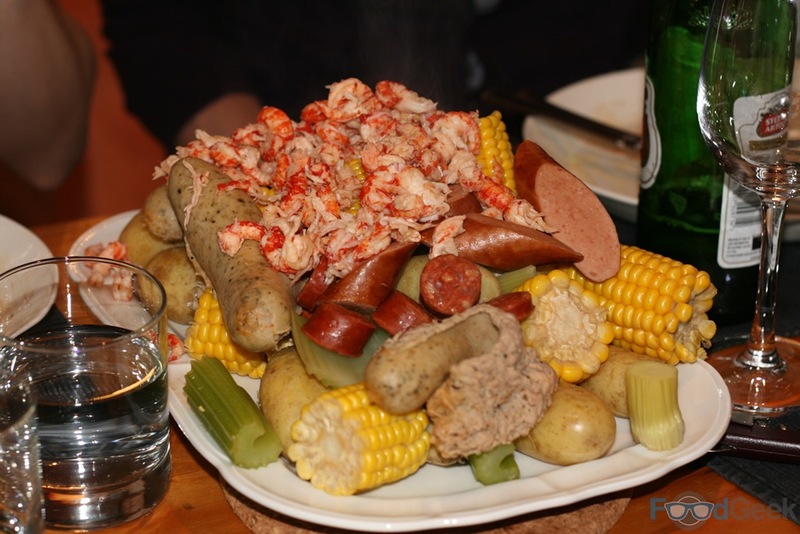 A simple but tasty affair; potatoes, corn on the cob, celery, sausages, salami and of course crayfish are boiled together in a spicy stock. The flavours all mingle together so nothing tastes as you’d expect; the celery and corn pick up spiciness from the stock and meatiness from the sausage which makes for a highly interesting dish. The dessert of ‘Waffles, Bourbon Ice Cream & Red Fruit’ was so alcoholic it should’ve had it’s own ABV! 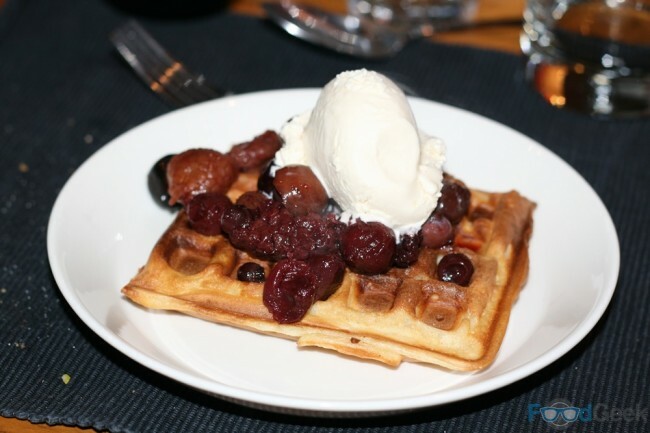 A sweet waffle topped with deliciously strong bourbon ice cream and insanely alcoholic red berries that had been marinating in whiskey for six whole months! It’s no secret that i’m a huge fan of Iain’s food, i’ve eaten it many times and never been disappointed. This one definitely ranks up there as one of the best as it was so different to the others, the food was fantastic and most of these dishes just aren’t available anywhere else. Creating amazing dishes for his regular supper clubs is one thing but to work with somebody else and create dishes to match their theme is all the more impressive. Now i’m wondering what would be served at a Food Geek Supper Club? We can work out whatever you fancy. Pick a theme or some of your favourite ingredients/styles.